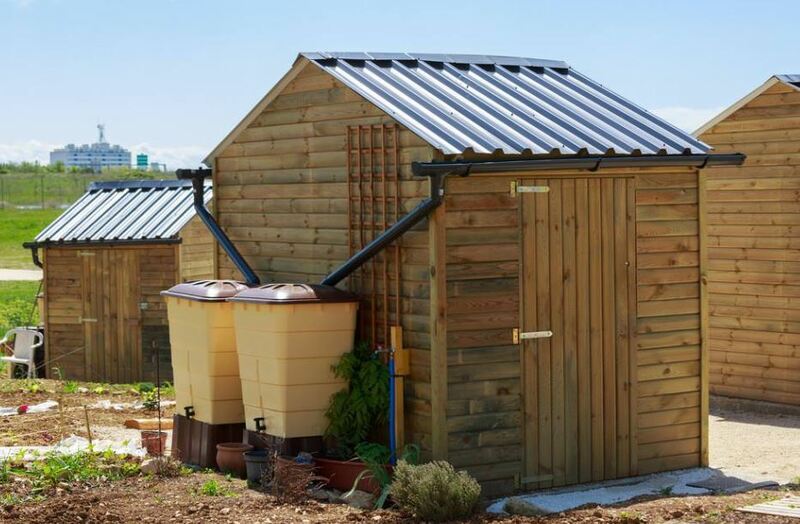 →Rainwater Barrels: How Do They Work? 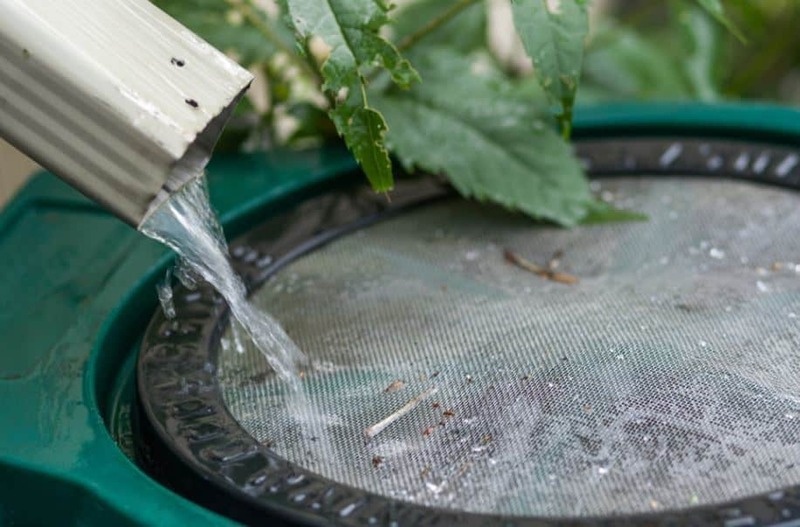 The barrels of rainwater are extremely useful both to have water in times of greater drought, as well as, if you have a measured water service, save a few dollars on your water bill, especially in the summer months, where our plants are more demanding with the risks. Collecting water using barrels of rainwater can have a negligible cost if we make a home system and a slightly higher one, although not so much if we decide to buy a commercial system. In any case, it will allow us to actively collaborate with the campaigns to save drinking water that are increasingly necessary in this modern world that is determined to exhaust its natural resources. How Do Rainwater Barrels Work? The barrels of rainwater allow us to conserve an ideal water for the irrigation of our plants since it will be devoid of chlorine and many salts and minerals that are not optimal for the growth of our garden. This type of barrels do not require a special plumbing and as I said before, you can develop your own system to collect rainwater on a budget. There are also commercial options, some more basic and others more aesthetic, which will add decoration and good taste to your garden. Prices can range from 70 to 300 dollars depending on what you choose. 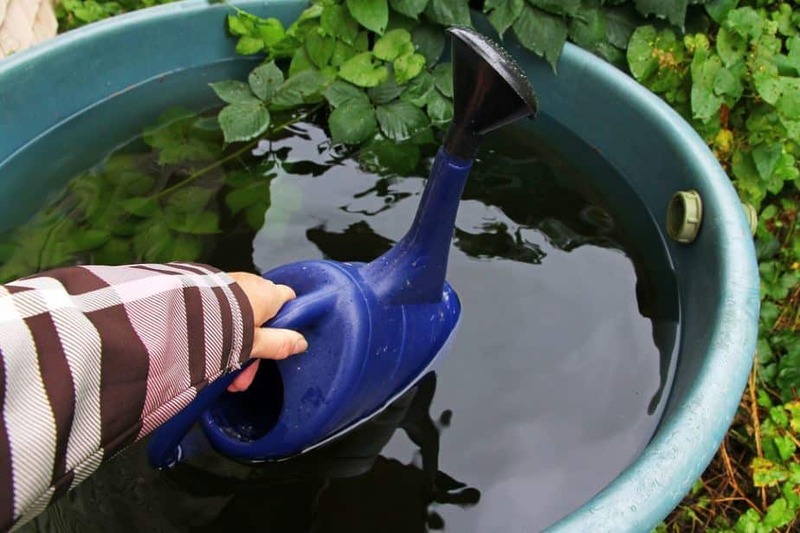 In any case, the purpose will be the same, obtain a totally recommendable water for your plants. A surface for collecting water, which in the case of a home, is neither more nor less than the roof of the house. On a roof of about 25 square meters and during a rain of about 20 millimeters, we can collect about 200 liters of rainwater (about 55 gallons). The gutters and drainage pipes are responsible for directing the entire flow of water from our roof to the sewers or to areas further away from the yard, which in our system, direct the water to our barrel. Third, we will need some type of fine mesh filter that keeps leaves and insects out of our water tank. Of course, we will need one or more barrels for the collection of rainwater, a size of 200 liters or 55 gallons is perfect, the only thing we must consider is that it is wide-mouthed and has a lid that we can remove for to be able to clean it when necessary. 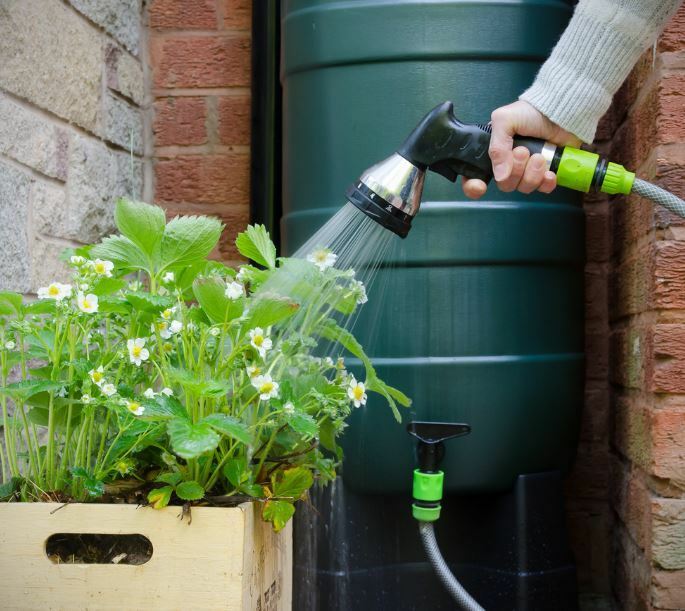 The last component, although not less important, is a tap or tap installed in the lower part of the barrel to be able to connect a hose, for example, and thus, be able to use the rainwater that we have collected. 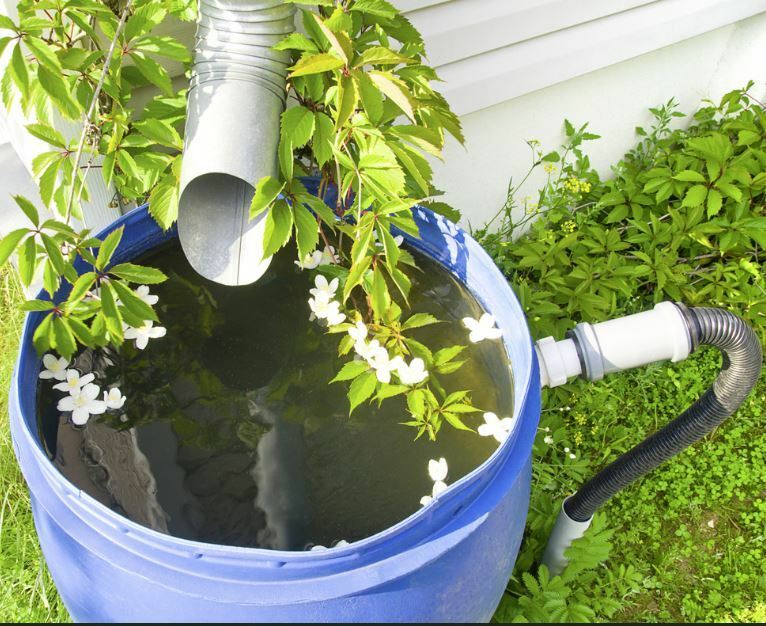 Mosquitoes and algae are the biggest problems with rainwater barrels, but it is something that can be prevented. If the barrel does not have any type of opening where mosquitoes can enter to lay their eggs, we should not have any problems. In case there is some kind of opening or filtration, we should, every ten days or so, empty the barrel and clean it to interrupt the breeding cycle of the mosquitoes. Algae proliferate if there is light, that is why it is recommended, on the one hand, that the barrels be dark, that is, that light does not leak through the walls of the barrel, and on the other, place them in a shady area or at least shaded most of the time. 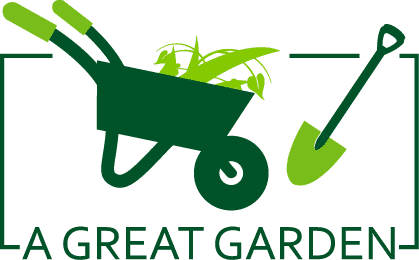 Another recommendation is to keep the gutters and roofs clean, so they do not drag leaves and other organic waste that serve as nutrients for the algae. If you have very strong winters in your area, where we reached the freezing point, it would be convenient to keep the empty barrels already covered, because if they freeze it could ruin the system. The plastic components are also vulnerable due to the expansion due to climatic effects, so cracks or breakages could occur, for which reason, we must make periodic checks to check that everything is healthy and in conditions. Finally, do not forget to use the water, although it seems obvious, if the barrels remain full, they will overflow the next it rains.